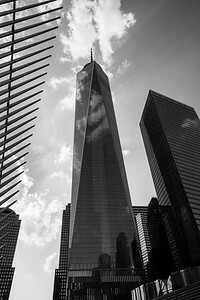 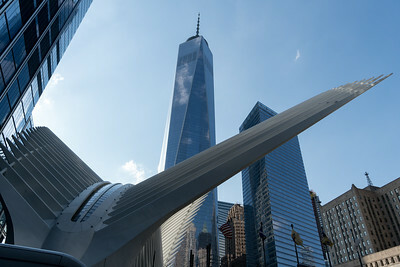 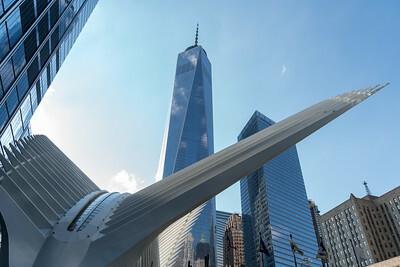 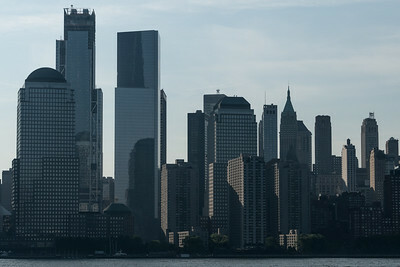 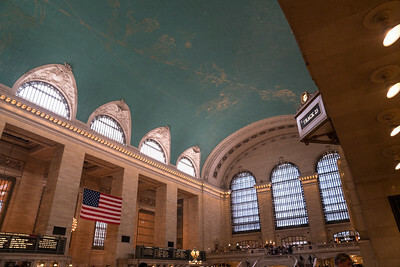 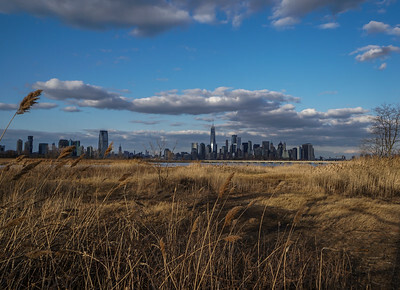 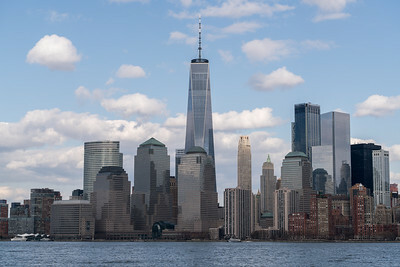 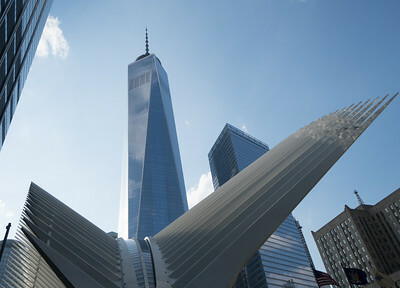 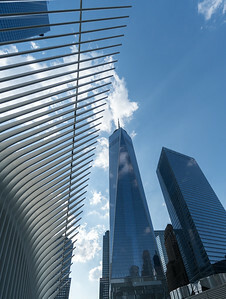 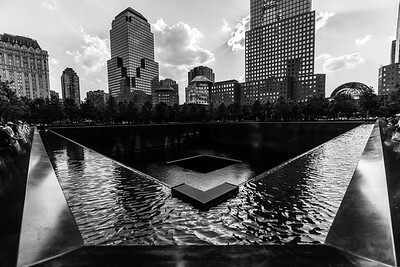 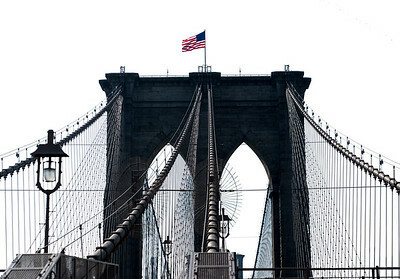 The 276 foot Manhattan side tower stands firm as the wind plays with the United States Flag mounted to the top. 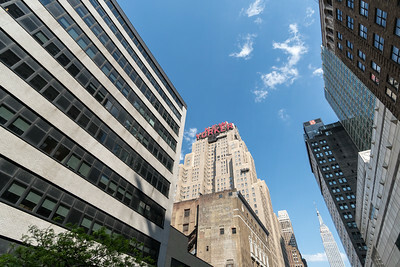 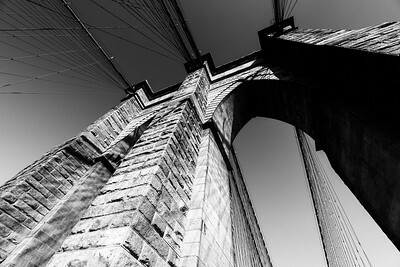 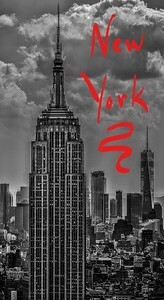 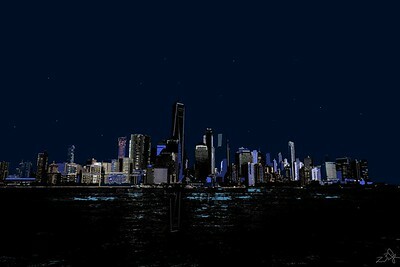 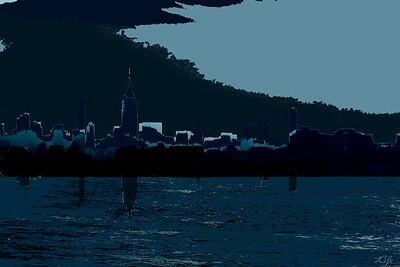 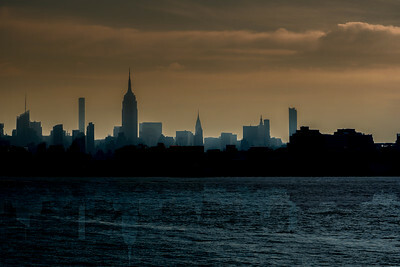 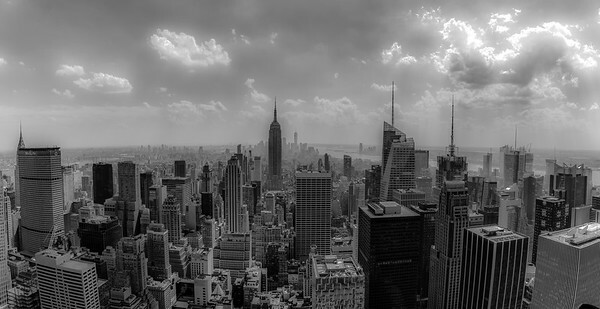 One of my New York City Scape Prints. 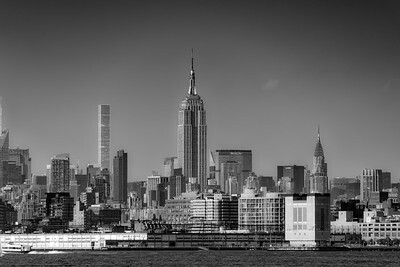 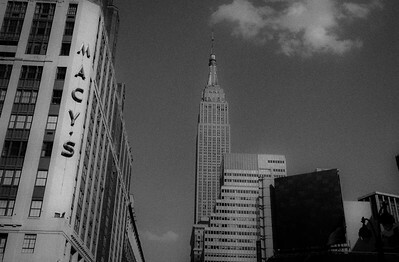 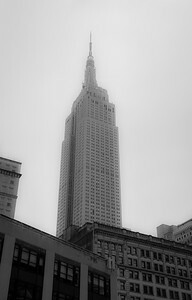 The Empire State Building looms tall in this black and white photograph. 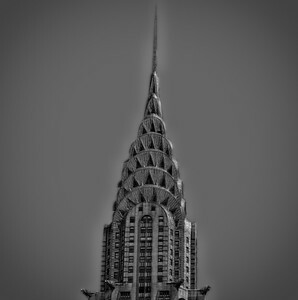 A black and white photo of the upper fourth of the Chrysler Building in New York. 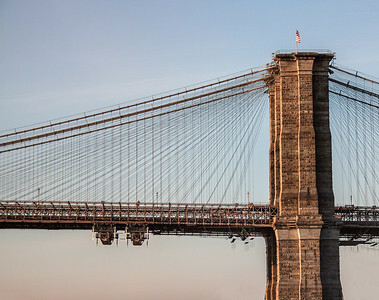 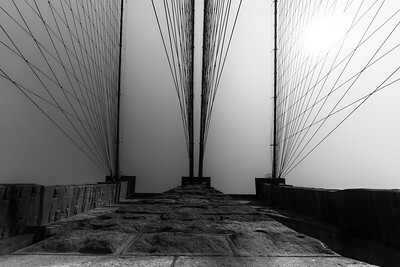 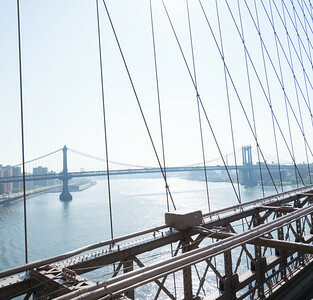 The New York side of the Brooklyn Bridge is highlighted by the rising morning sun. 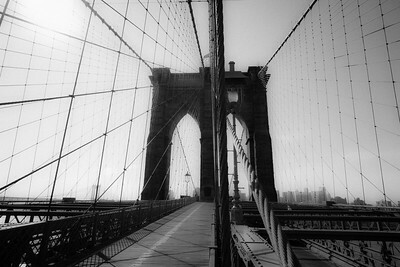 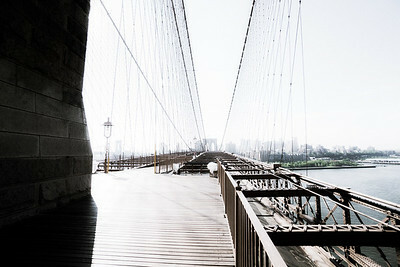 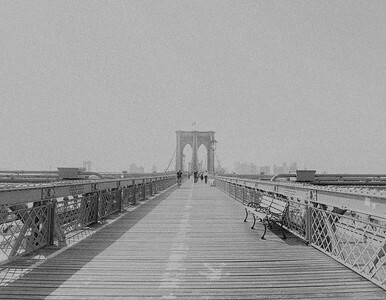 Entering the Brooklyn Bridge walkway from the New York side. 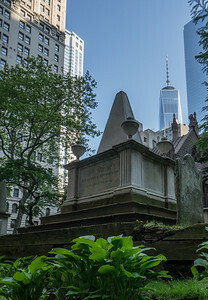 The grave of Alexander Hamilton near the WTC.